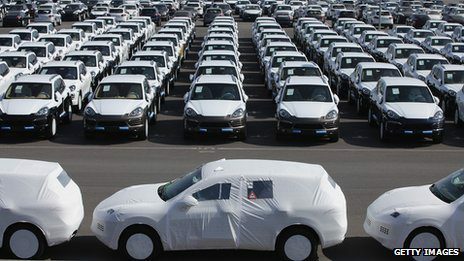 New car were sold 4.1 percent more in February compared to the same month a year earlier on increasing sales of foreign brands, French car sales federation CCFA said on Monday. Last month, new car sales were at 147,130 units from 141,290 vehicles sold in February 2014, pulled up by foreign brands which recorded 7-percent growth. American car manufacturer Ford was the star performer with 34.7 percent. Local car makers sold 79,905 units over the period, up 1.9 percent with sales of Peugeot Citroen and Renault, rose each by 1.8 percent to 43,477 and 36,366 units respectively, according to the CCFA.